There’s no question that vegetables are good for you. They’re filled with vitamins and nutrients that we need to stay healthy. It’s even recommended that we get five servings a day. But sometimes, they just aren’t appealing enough to eat. Whether you’re an adult or a child, eating your veggies can be a chore at times. Thankfully, there are ways to make vegetables a treat to eat. One of those ways is to grill them. There are plenty of benefits to eating grilled vegetables besides the obvious. We compiled several of them for you. Benefit #1: The flavor is enhanced naturally. While marinades are definitely delicious, they aren’t a necessity when grilling vegetables. Because of the smoke from the grill, the vegetables are infused with a subtle barbecue flavor that everyone loves. But that’s not all. The heat from the grill caramelizes the natural sugars inside the vegetables, causing them to taste sweeter and more flavorful. And the added crunch definitely doesn’t hurt. Benefit #2: Grilling retains more nutrients. When you cook your vegetables, some of the vitamins and minerals leak out. This happens a lot when you boil your vegetables. Some studies have found that sautéing or frying them won’t cause you to lose as many nutrients, but it does add on unhealthy fats. Grilling, on the other hand, doesn’t require you to use fats to cook your food. Just the opposite. So, if you prefer your veggies cooked rather than raw, grilling them is your best bet. Benefit #3: Grilling can increase the nutritional content of some vegetables. This may come as a surprise since we just mentioned that cooking could lead to nutrition loss in vegetables. That statement is still true to an extent. But with certain vegetables, more nutrients are freed up for your body to absorb when heated. According to nutrition experts, some nutrients aren’t readily absorbed by our body. For example, minerals have been found to be less available for absorption because fibers often bind to them. But when the fibers are heated, they breakdown which releases some of the minerals. Carrots are another good example. Heating can significantly increase the amount of carotenoid in carrots. Carotenoids are good for you because they work as antioxidants in the body. 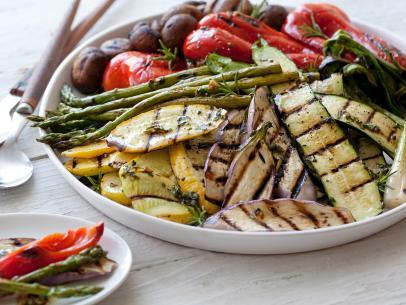 Benefit #4: Grilled vegetables help you lose weight. Eating veggies can help you lose weight because they are low on calories but high on fiber. This means that you feel full without having to consume a lot of calories to do it. That same fiber will also lower your blood cholesterol levels and ensure you have a good bowel movement. And since grilled vegetables taste so good, you won’t have a problem incorporating a lot of them into your diet. Benefit #5: Almost all veggies can be grilled. There’s no limit to what veggies you want to throw on the grill. Found a veggie you’ve never tried? Give it a turn on the grill. You’ll find that when you’re unsure about how to cook a vegetable, grilling is the simplest answer. It’s also the easiest – no prep time involved if you’re too lazy to do any slicing or chopping. Benefit #6: Say goodbye to picky eaters. We all know how hard it is sometimes to eat your veggies – possibly a throwback from our childhood days. Some of us still shudder in fear whenever we hear brussels sprouts are on the menu. Fortunately, grilling adds some delicious flavor that makes formerly disgusting veggies into tasty treats! Have you ever tried radicchio? It can be incredibly bitter that even veggie lovers sometimes shy away from eating it. But when they’re grilled, the bitterness mellows down, and the grill adds that smokey flavor that we all love. Served with an awesome vinaigrette and you’ll never eat radicchio in any other way again! Also, it’s quite easy to add herbs and spices before grilling that will make the veggies a lot more appealing. Even the pickiest of eaters will be glad to add grilled veggies into their diet. Benefit #7: Grilling vegetables is fun and easy to do. Who doesn’t love grilling? You’re out of the house, enjoying the fresh air and the warm rays of the sun. And it doesn’t hurt that you’re “playing with fire.” But that could be said about any food you grill. 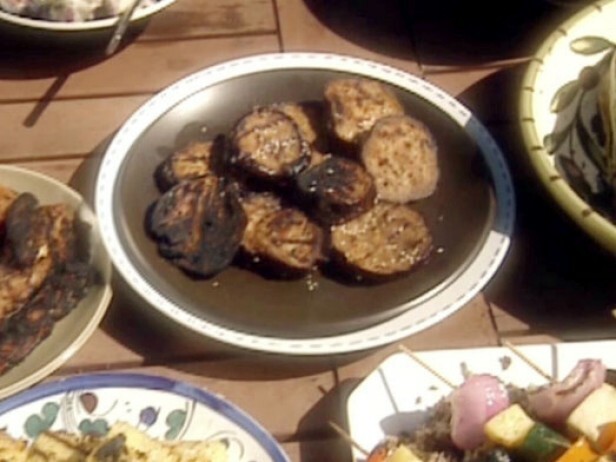 Vegetables, however, are fun and easy to grill. There’s no need to do any fancy grilling or marinade. And you don’t need a thermometer to tell you if the veggie has reached the correct internal temp. You don’t even have to be an expert griller to get your veggies seared and ready to eat. A little salt and pepper, maybe a brush of oil to prevent the veggies from sticking (though you can also use foil or a grill basket) and voila! You got yourself some crispy veggies to munch on. When you look at all the benefits of grilled vegetables, you might wonder why in the world you rarely eat them. Maybe you should try to add more of them on your next cookout!